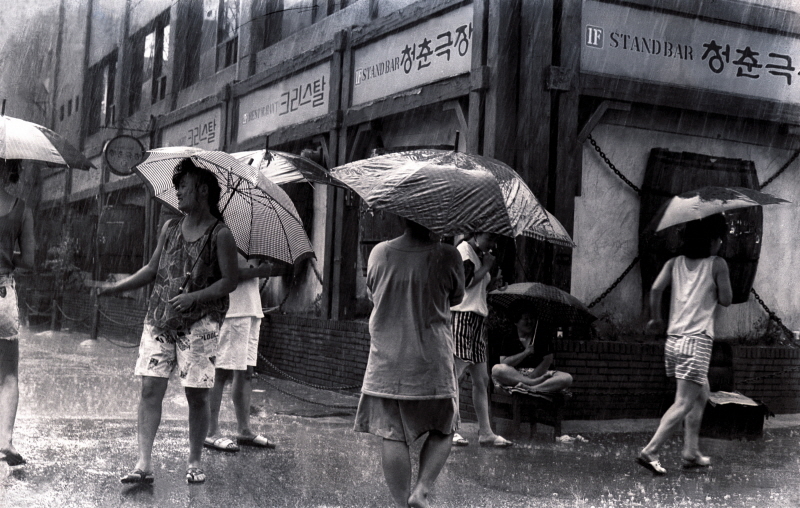 Photographer Jo Moon-ho(68)’s solo exhibit <Cheongnyangni 588> had been held at the exhibition hall on the second floor of Insa-dong Ara Art Center. 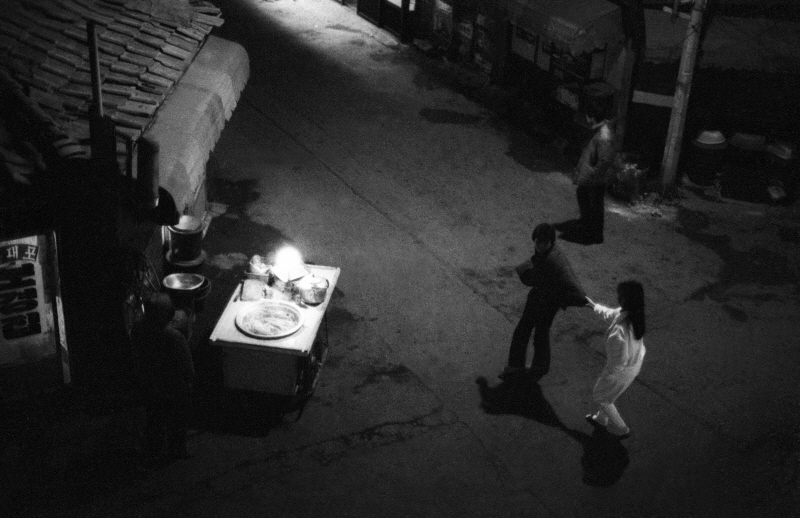 NoonBit Collection of Korean Photographer’s Works by the same title, < Cheongnyangni 588>, published simultaneously. 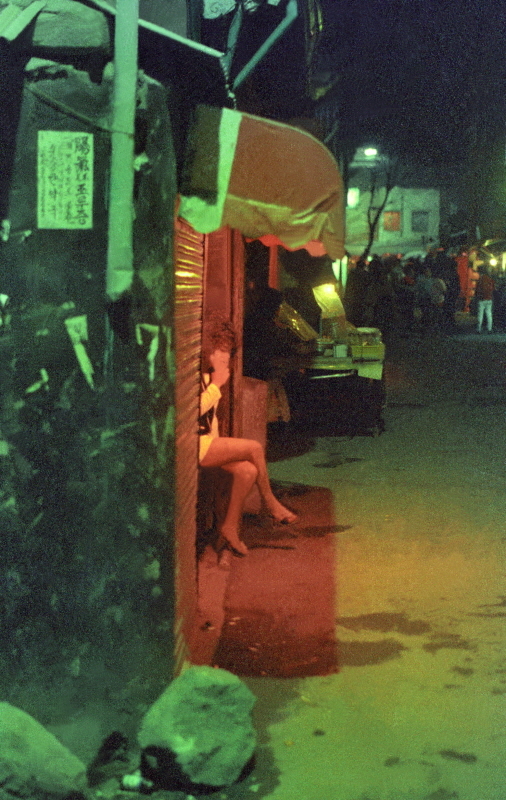 The photos, taken between years 1983 and 1988, make up a 5-year-long documentary of the red-light district around Jeonnong-dong 588 area. I interviewed Jo over the phone on the 24th. When Jo picked up the phone, just one day away from the exhibit’s premiere, he was doing some last minute preparations at the venue. - I am above all surprised by your decision to photograph Cheongnyangni 588. How did you start? 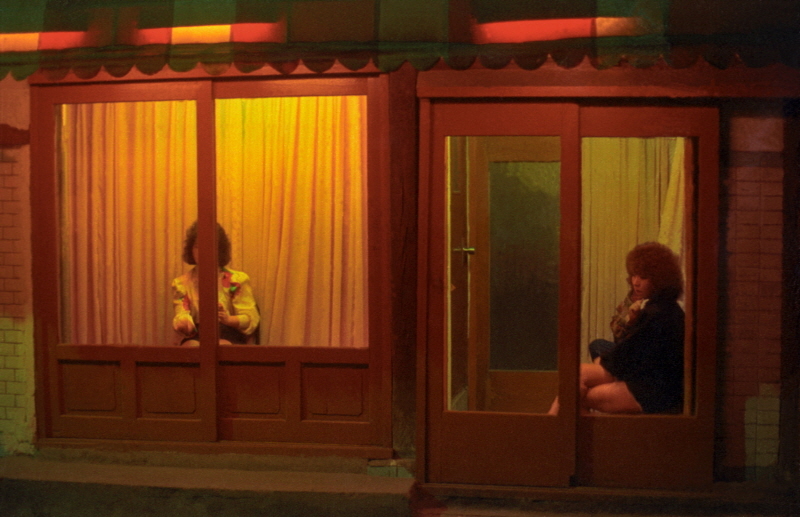 “I wanted to document a red-light district in its social context. 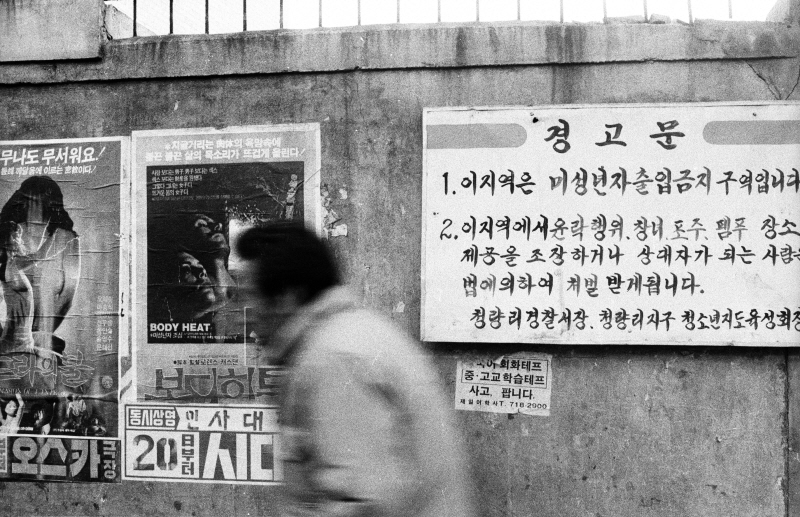 Back then there was something called DONG-A Art Festival and the theme in 1983 was “working people”. That is when I started the work. 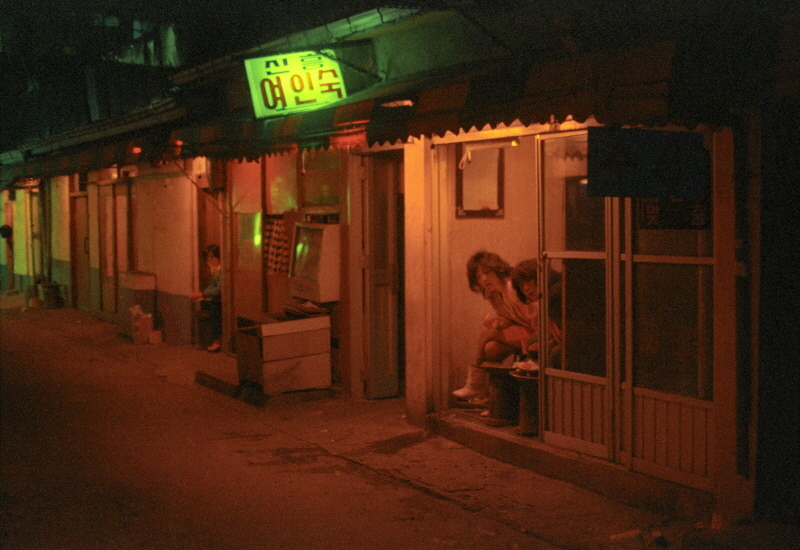 In 1985 DONG-A Art Festival, my project ‘The Red-Light District’ unexpectedly won first place. I thought, well, this can’t be, and in the same year I rented a room in Jeonnong-dong together with a monk friend of mine. He wanted to write, but ended up not being able to produce a single line. - I figure the women did not welcome your attempts to photograph them? “It really was not easy. In the beginning I could not even take out the camera. I persuaded them that the goal of my work was to change the society’s perception as to acknowledge prostitutes as workers. We grew close, both physically and spiritually. I was especially friendly with this one called ‘JeongSooki’, whom I convinced to come forward and with pride. She introduced her friends to me and so I got to start on the work, little by little. For about 5 months I lived like that. Even after moving out I frequented the place, almost as if going to work every morning. - It couldn’t have been easy for you. 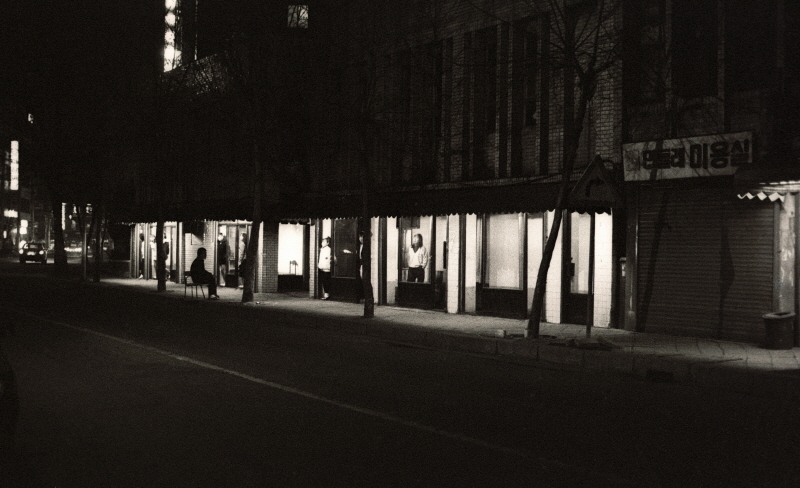 “The thugs gave me a lot of trouble. The ladies understood my photos and my work but not the men. I had my camera taken away from me and got beaten up. But you know, the world is such that, the one who got beaten up goes to bed with a clean conscience, and the one who beat him up doesn’t. The thug and I grabbed a drink at a snack cart and talked. “I’m not your enemy,” I said, and told them, truthfully, the reason I was taking these photos. He understood. Afterwards he would help me in my line of work. - This type of work can be perceived to be sensationalistic. Why this theme? - I hear that you held an exhibition with this theme in 1990. Tell us about it. - Did you visit Cheongnyangni 588 after that? - Do you want the women featured in your works to come and find you? Have you kept in touch with anyone? “I lost all contact with them. Back then we didn’t have mobile phones or anything, and the ladies moved around a lot, making it difficult to track them down. I sincerely wish that they would come and find me. 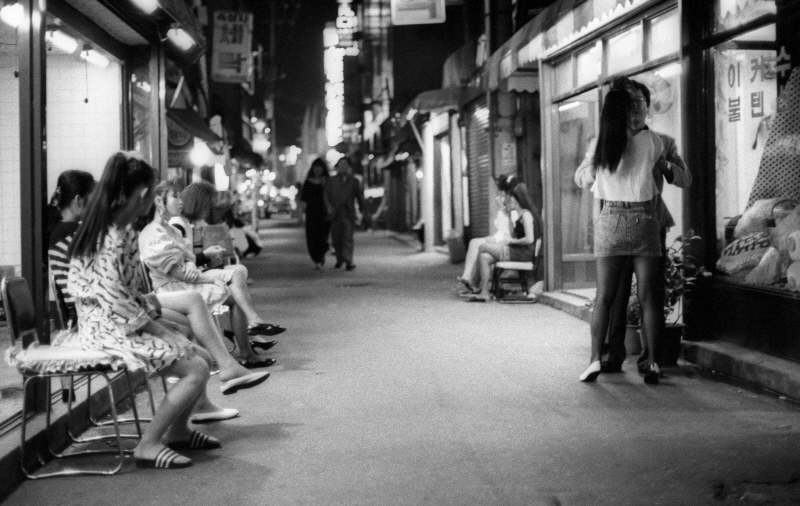 I miss them, and I want to h » Photography Book, Red-Light District in Seoulear about how they lives turned out. I wish they would come here, see their faces from back then, and take home the photos that include them. So I developed two copies of each work – one I would give away, and the other I would keep. Right of publicity and such is not the issue here. I want to tell them to be proud, to stop feeling guilty. To this day I am a poor man. But if my lover and sisters from that time find me, I would like to pour them a drink. I wish them all the happiness in the world. Jo Moon-ho’s photography is not easy. Taking the photos would of course have been the hardest; these photos are not taken from a distance, or in secrecy. He himself was exposed while taking them – making the work doubly difficult. Neither is it easy to read these photos. Being too focused on the subject matter while interpreting the photos is a big mistake. These are not works that can be carelessly discussed on light-hearted platforms like Facebook. These are historical works, a record of the period. 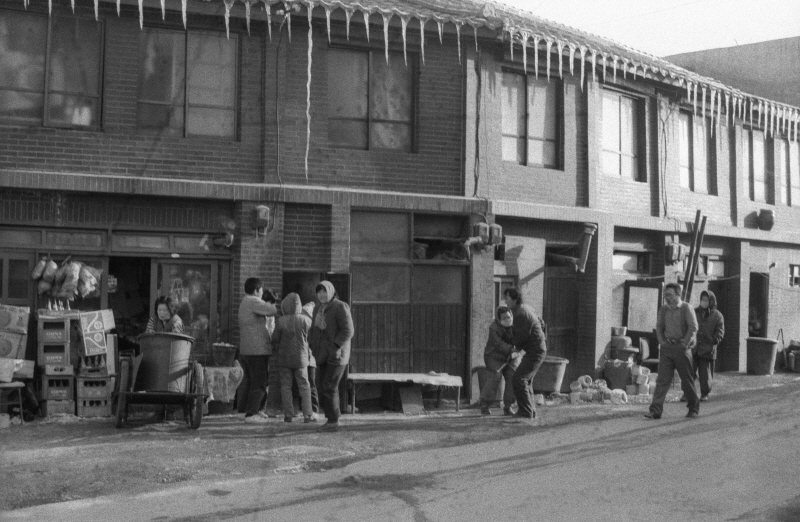 Just like the past generation featured in Choi Min-sik’s Jagalchi, Kim Ki-chan’s Alleys, Park Shin-heung’s 70s, the women of 588 are our generation’s emotions personified. 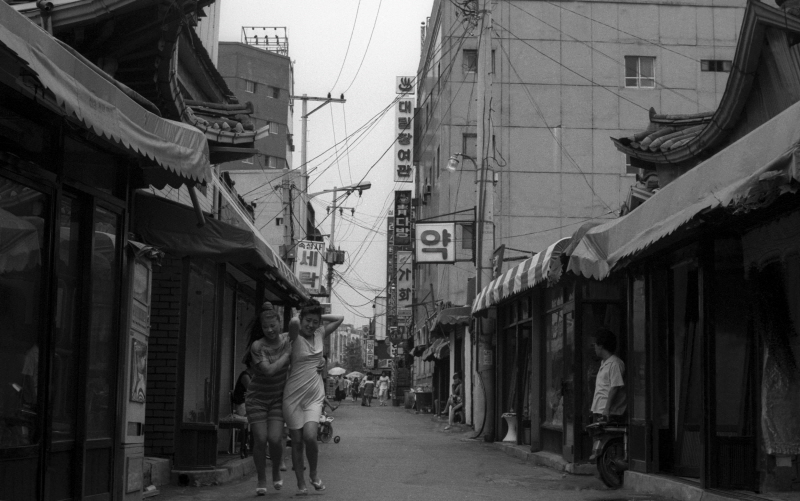 From the faces in the photos, it is clear how they perceived Jo Moon-ho as an individual. If someone with a Twitter or Facebook account would like to devise a light-hearted comment on his person, do so after having been to the exhibition. These are not photos lightly taken. And so they should be judged with the gravity they deserve. *The exhibition is reserved for adult audiences. 1. Photography’s value transcends that of the simple documenting of the truth. It reproduces it. As such, these photos should be viewed as photos – and just photos. 2. The photos were not taken surreptitiously with the intent to expose something. Bear in mind that they do not pinpoint an individual – rather, they are portraits of anonymous people. 3. 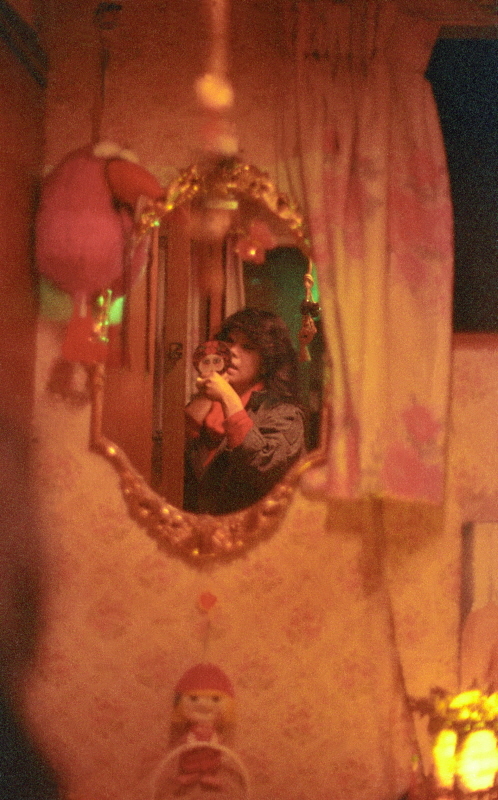 The photos represent a lesser known side of the otherwise bleak 1980s – the side that embraced the marginalized people of the society.